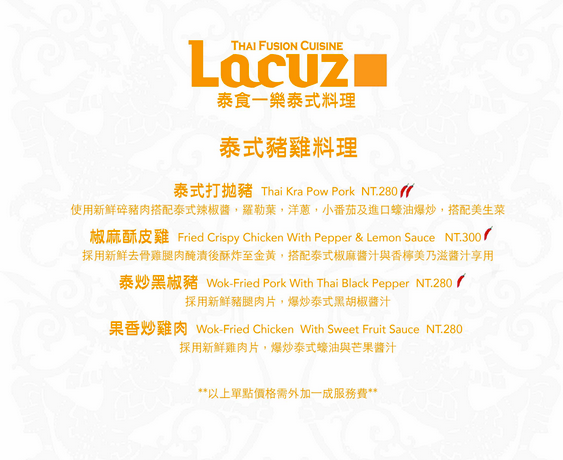 Lacuz Thai Fusion Cuisine, Lacuz 泰食-樂 泰式料理餐廳 – It’s AYCE Thai-m! 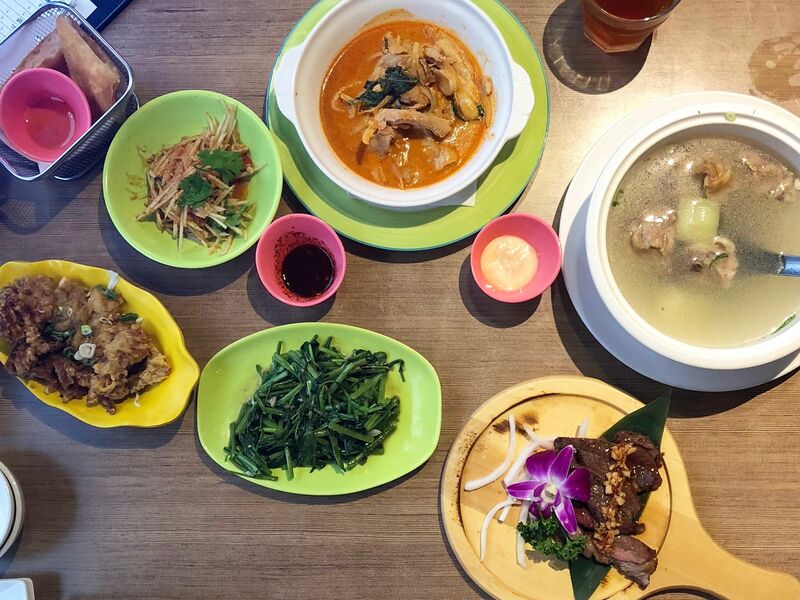 All-you-can-eat Thai food say what?!?! YES! You read that right. 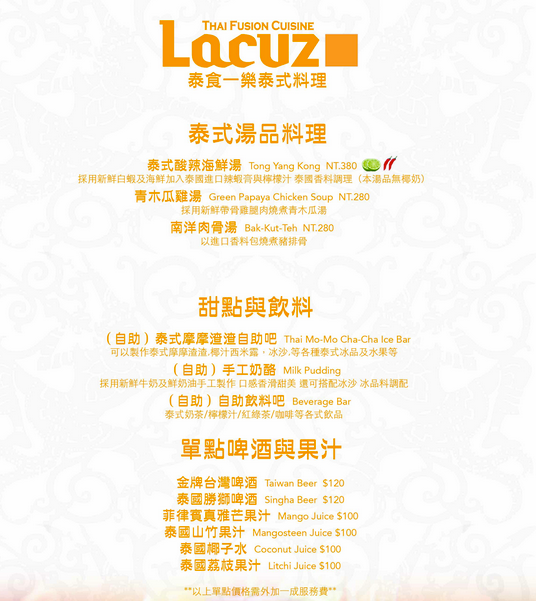 Before I introduce some of Lacuz’s goodies, let’s learn a bit more about the restaurant and its owner, Mr. Su (蘇老闆). So, where did the name, Lacuz, come from? 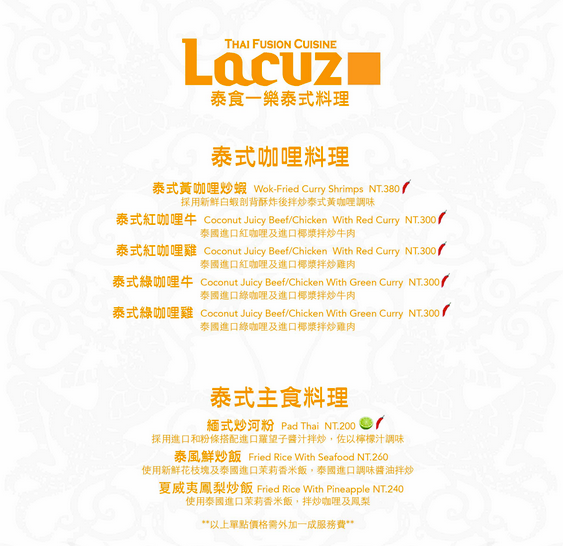 “Lacuz” is the name of Mr. Su’s wife’s mother tongue. When they were still dating, he told her that when they get married, he’s going to open a restaurant dedicated to her. Next thing you know, BAM! He’s a man of his words and made it happen. 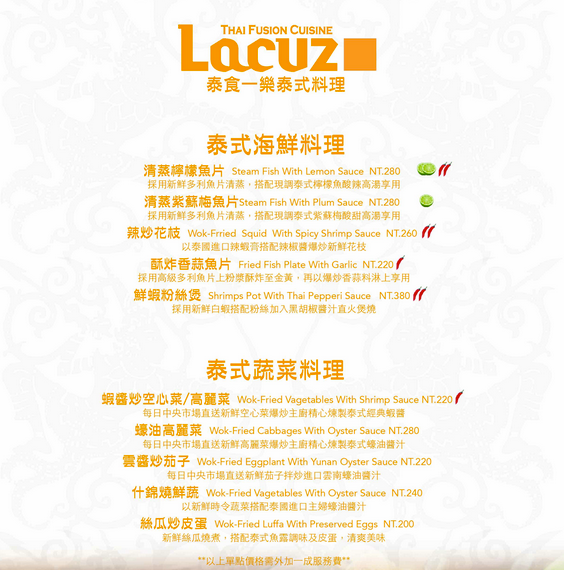 Lacuz first opened at Jinan Rd., Section 3 in Da’an District on October 16, 2004. Since then, Mr. Su opened other branches. I visited the Gongguan (公館) branch, which opened on November 2, 2013. Now, let’s take a look at the restaurant’s exterior and interior design. When you arrive at the given address, look up and you will see a sign that says “Lacuz“. Make your way inside and walk up to the second floor. If you see these signs, you’re heading in the right direction. According to Mr. Su, the restaurant is designed to have a Thai Nanyang style. The first thing you see when you open the door is a throne-looking seat. There are props on the side so you can not only eat good Thai fusion food, but also have fun with family and friends. Right behind the throne is a swing chair you can play and take pictures with. There is plenty of seating in the restaurant. You can choose if you want to sit by the window. Near the entrance, there’s a buffet bar with drinks, dessert, and some hot food. You can choose the buffet option (order anything on the menu for a set price and smaller portions) or choose each dish separately (each dish has its own price and bigger portions). The buffet prices are listed below. I decided on the buffet option so that I could try more items and order more of the ones I liked better. Click Menu to see their selections. I also included the à la carte menu below from their website. Sate Beef: The beef was so tender and juicy! Green Papaya Salad, Fried Shrimp Cake, Crispy Chicken, vegetables and more! The food came out quickly in spite of the restaurant being busy at the time. After ordering two to three more rounds of food, I made my way to the dessert bar to fill up a bowl with ingredients to make my own Thai Mo-Mo Cha-Cha shaved ice. 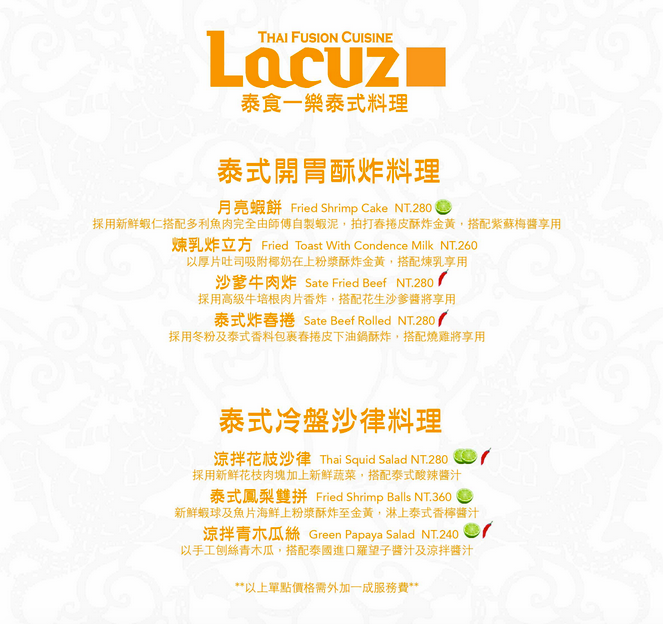 Lacuz is definitely a “bang-for-your-buck” restaurant, or in the way people say it in Taiwan, the CP值很高 (high cost-performance index). Definitely check out Lacuz if you want a full and satisfied tummy!